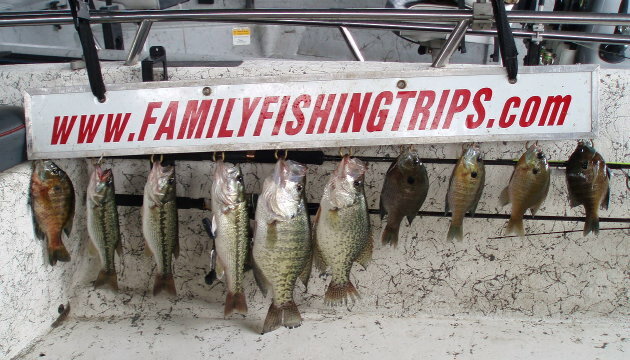 Booking a trip starts with checking my calendar for availability. 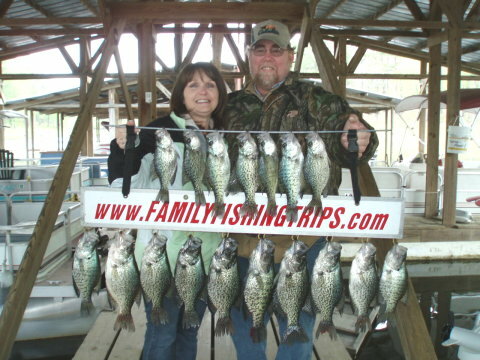 A perfect scouting trip with my beautiful wife. 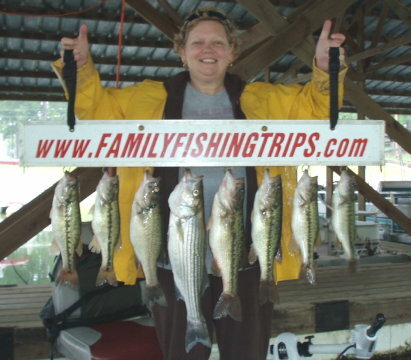 Yep, and she even fishes in the rain. 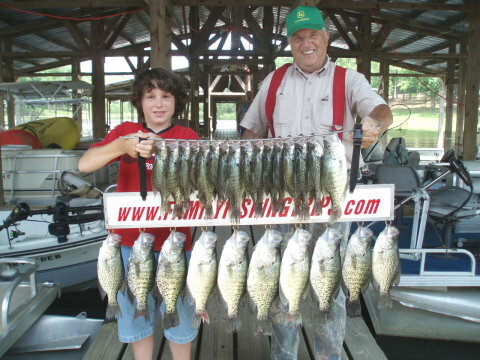 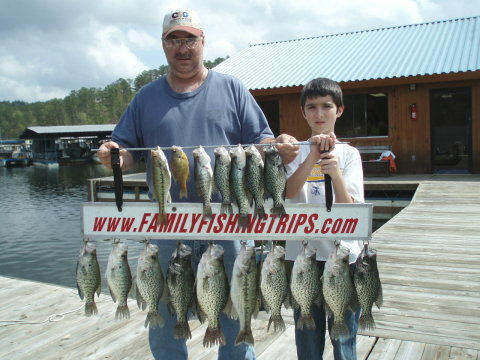 Crappie up to 16.25" - 1lb.12oz. 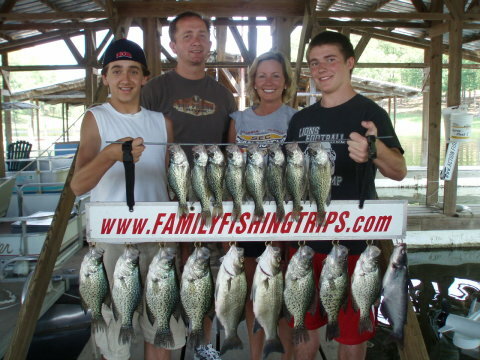 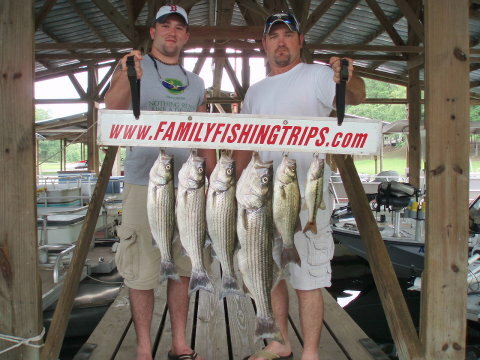 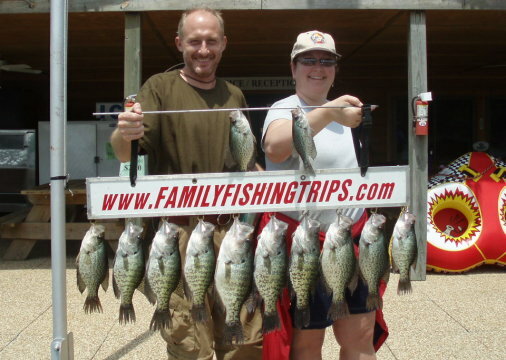 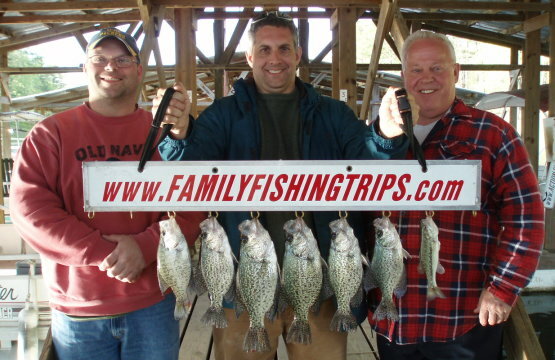 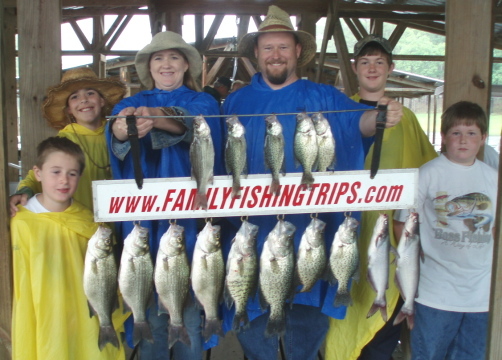 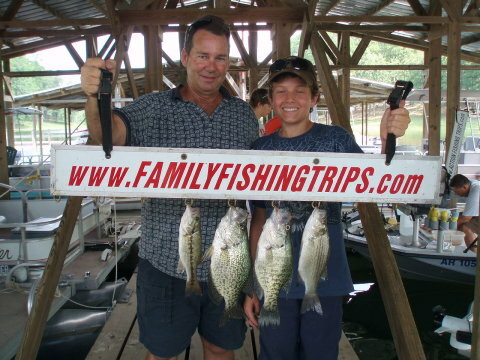 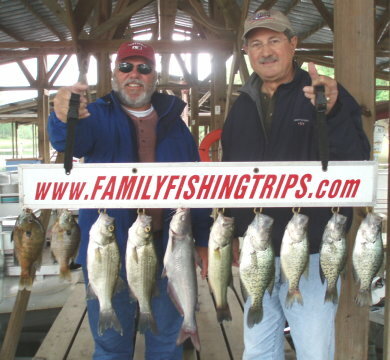 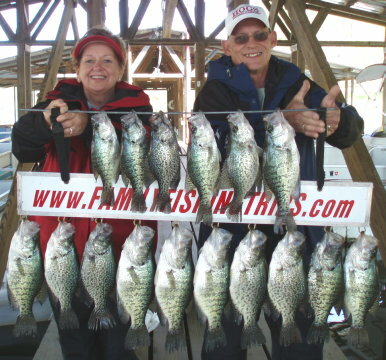 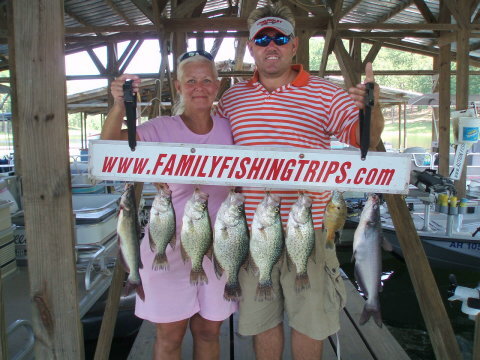 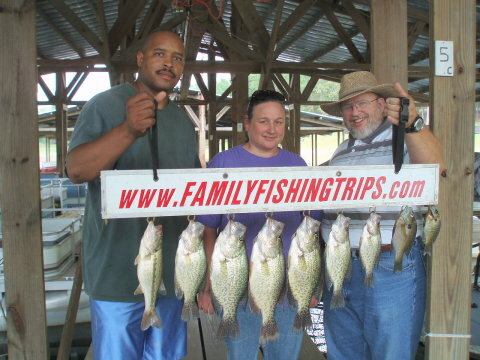 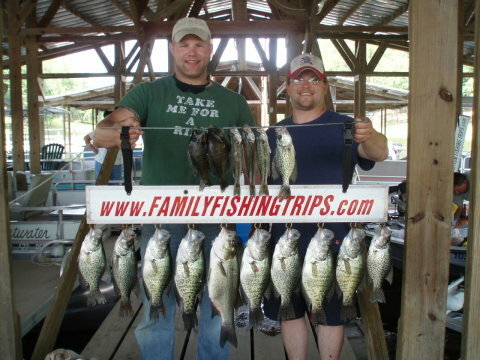 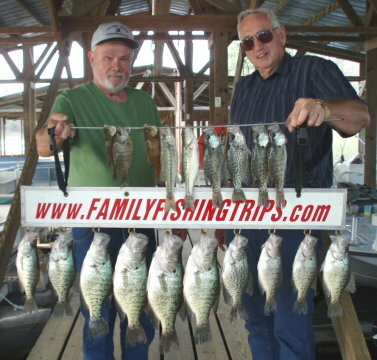 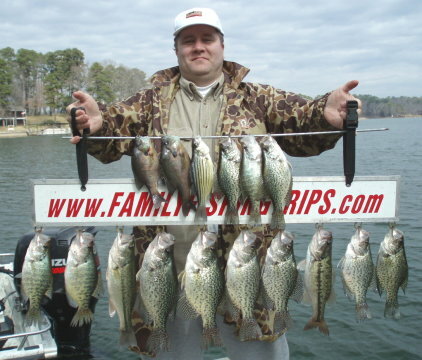 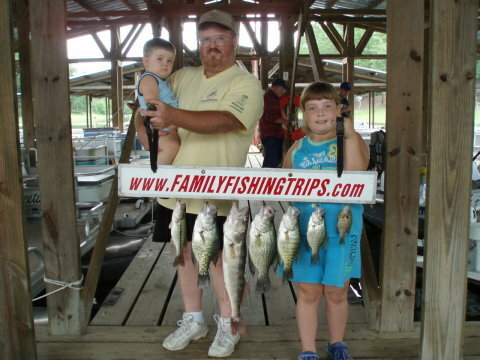 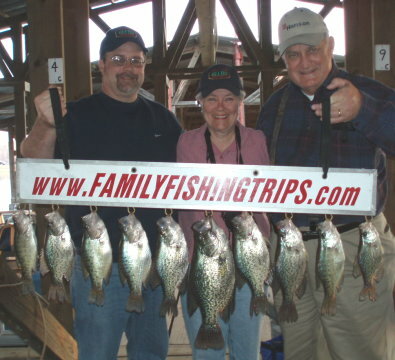 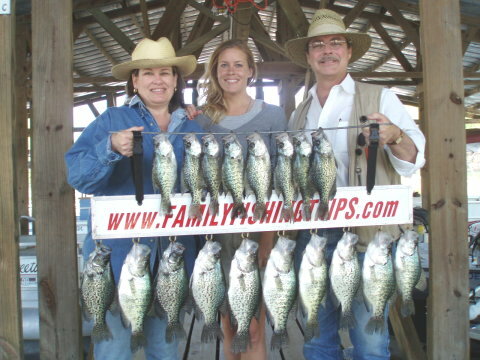 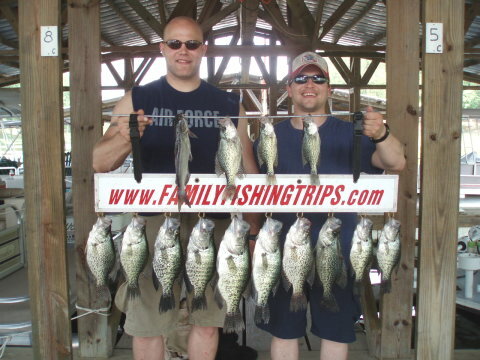 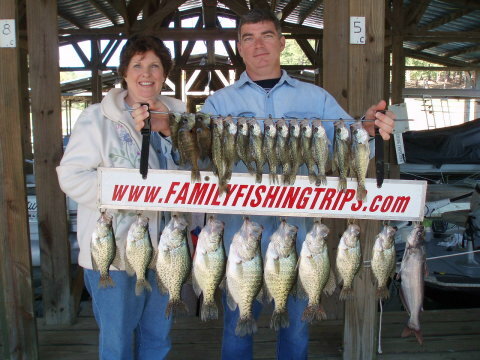 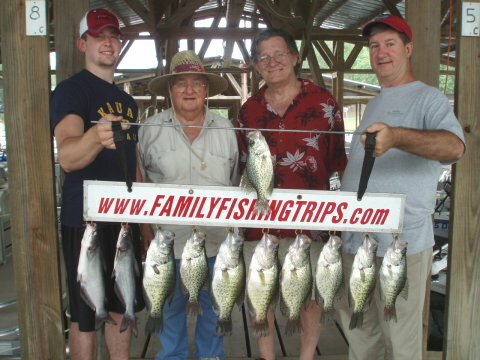 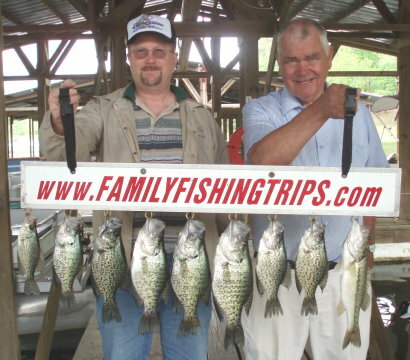 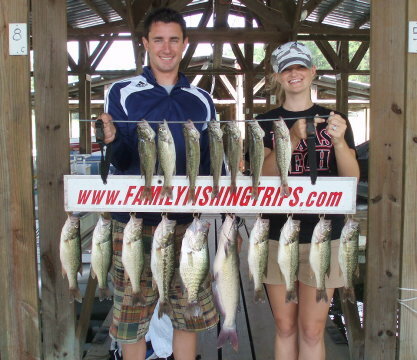 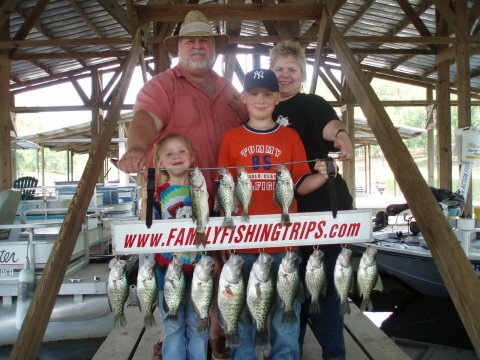 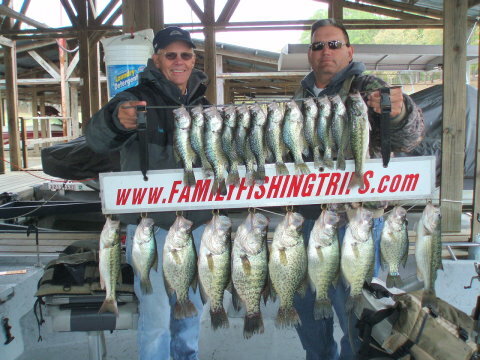 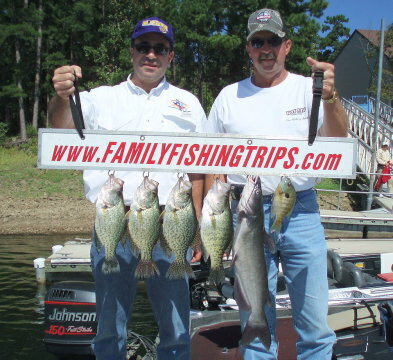 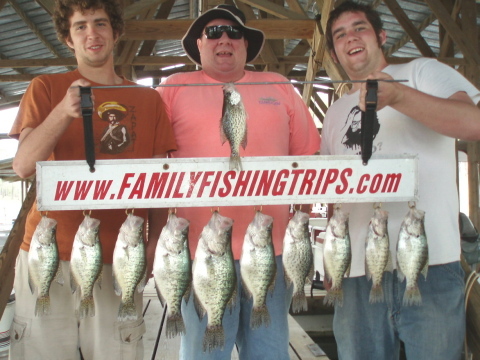 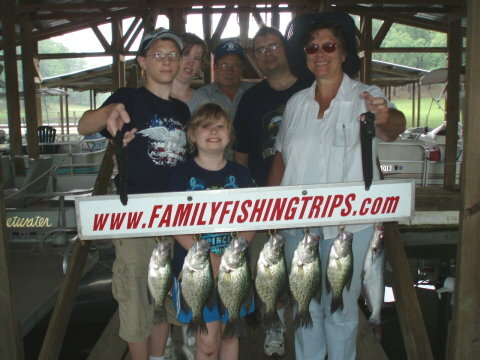 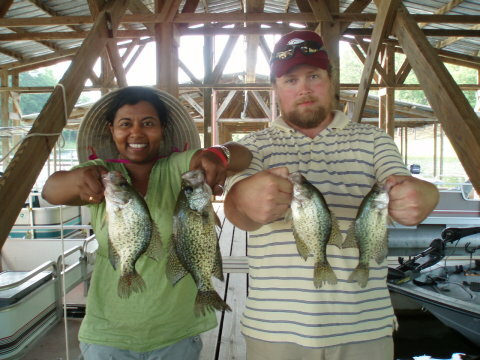 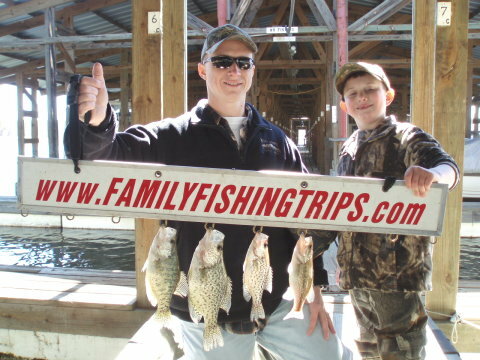 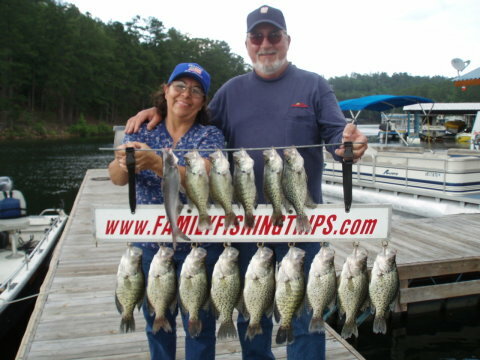 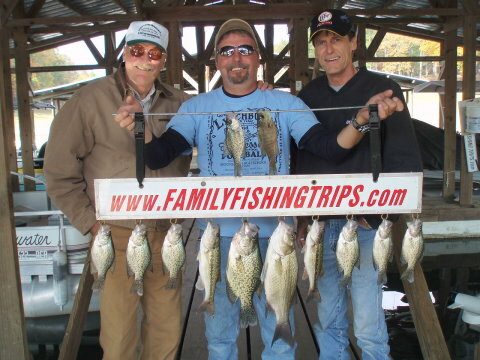 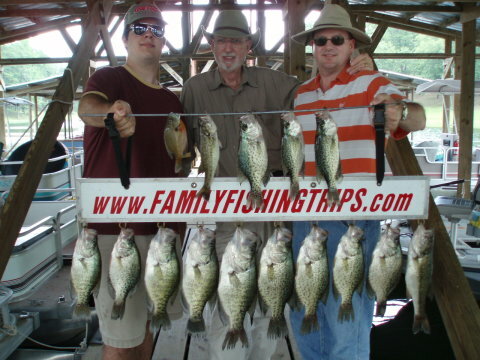 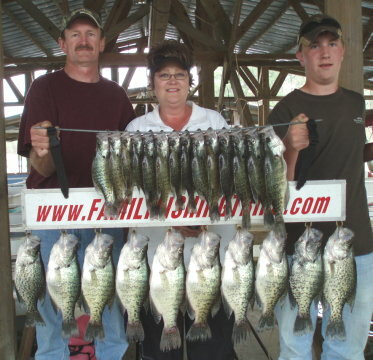 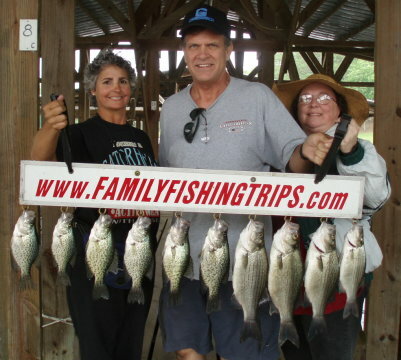 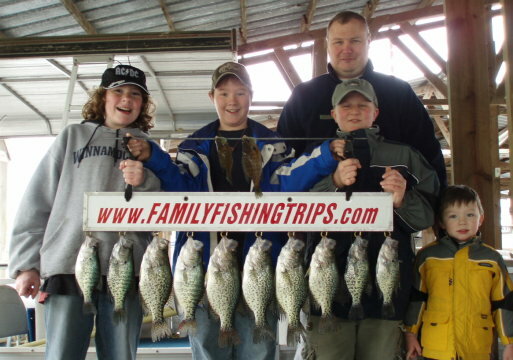 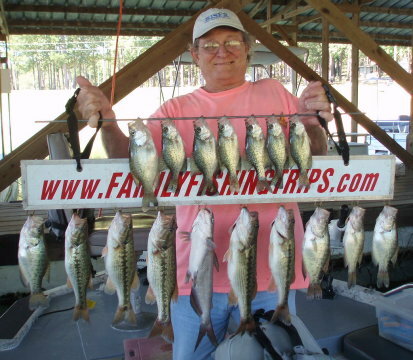 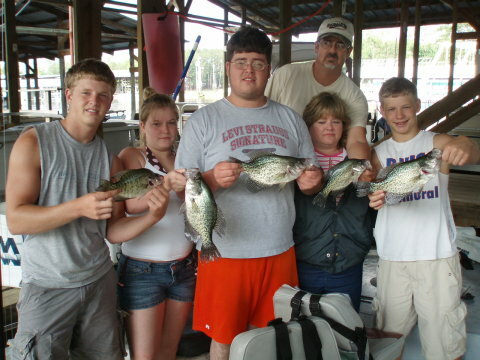 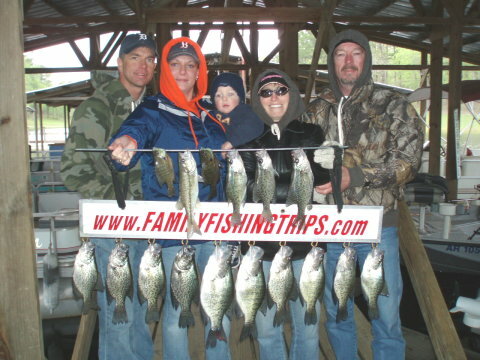 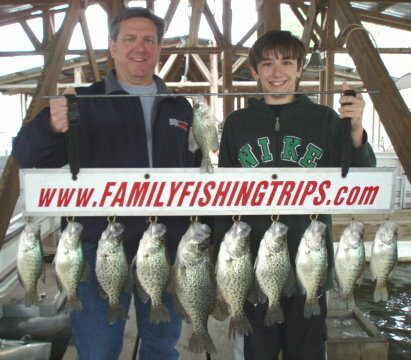 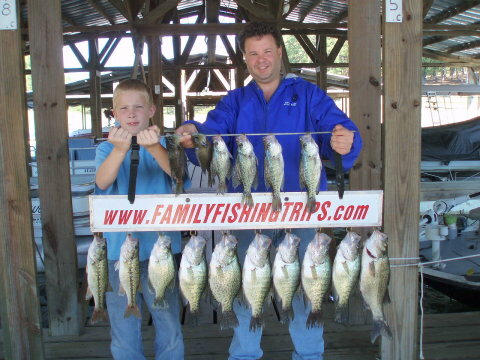 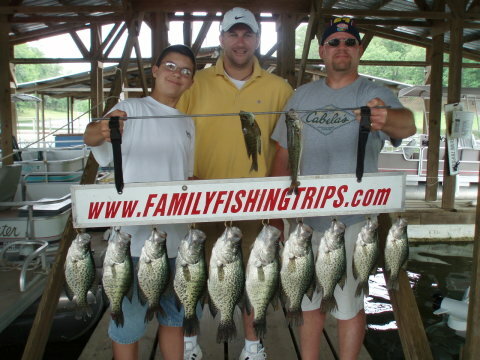 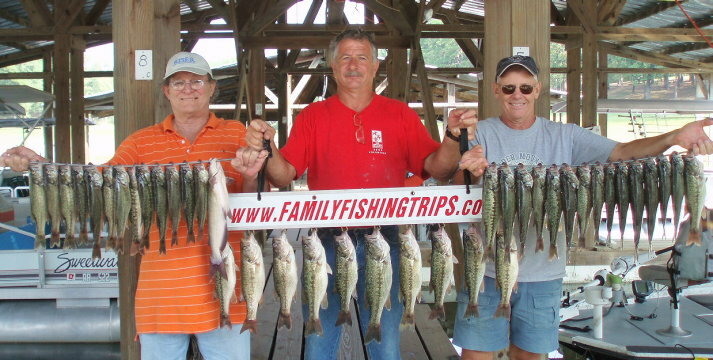 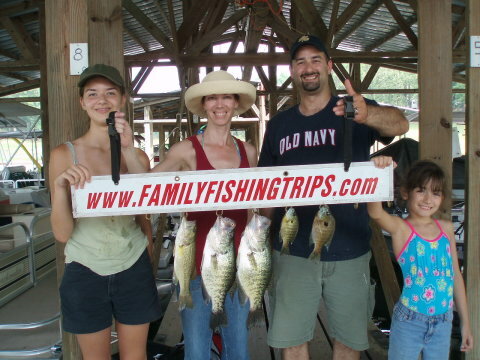 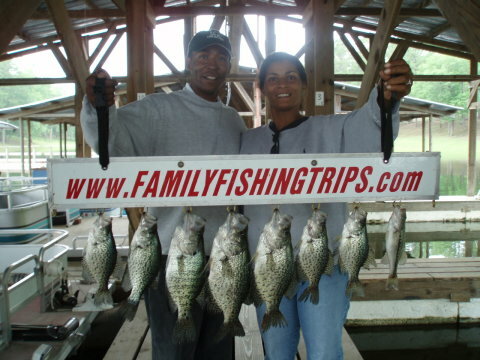 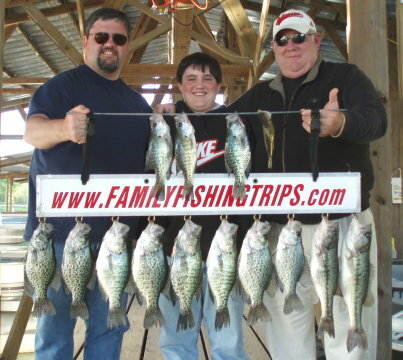 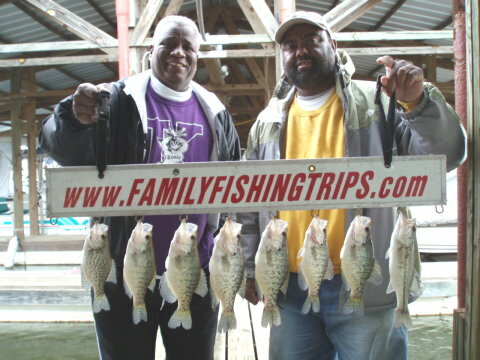 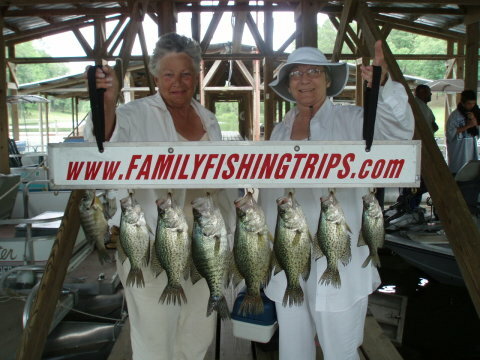 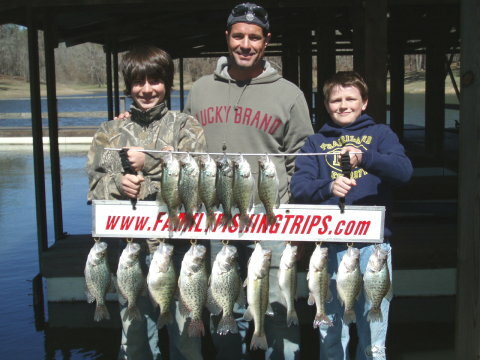 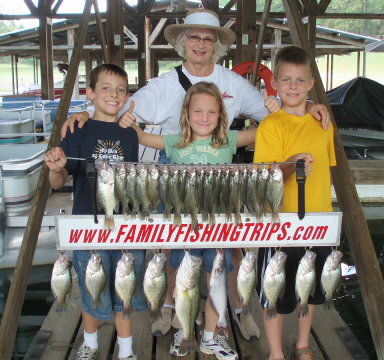 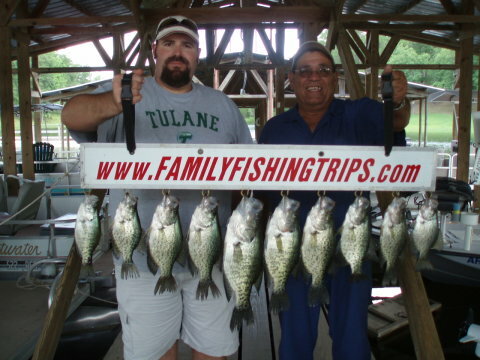 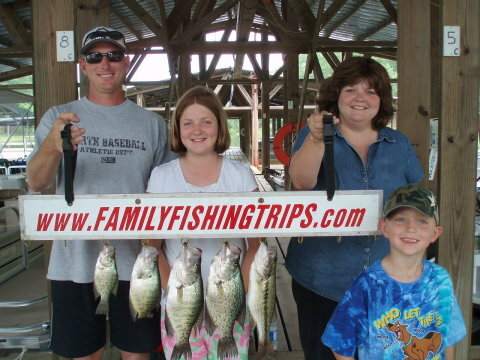 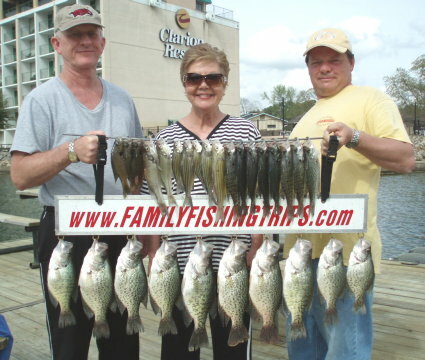 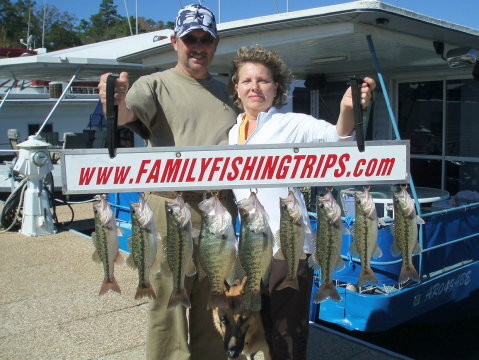 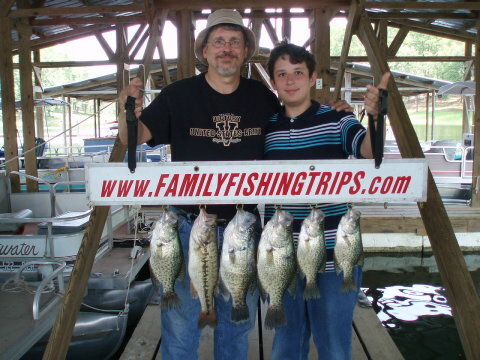 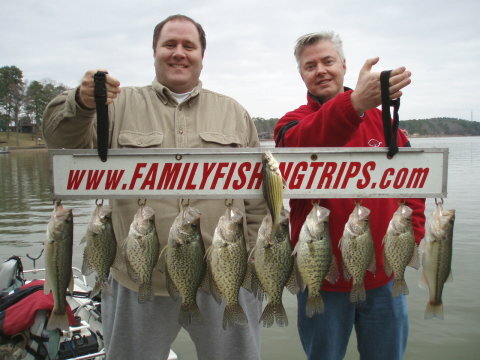 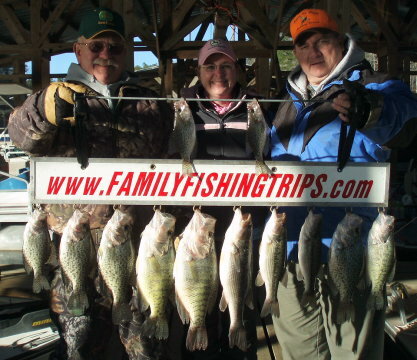 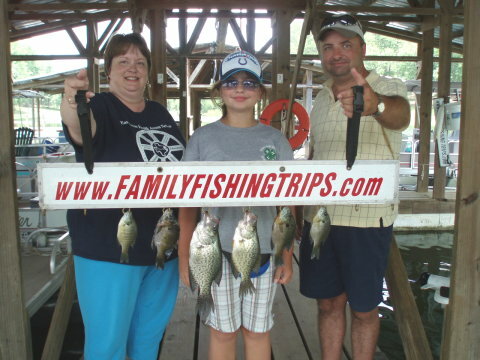 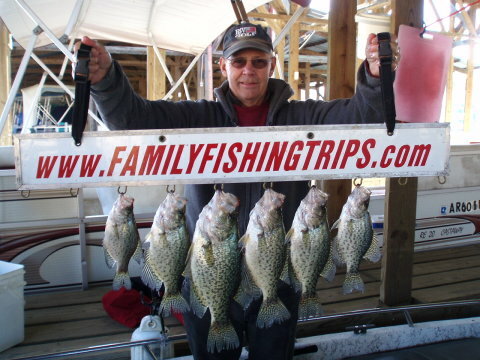 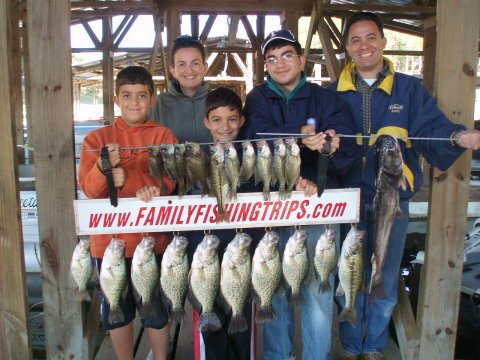 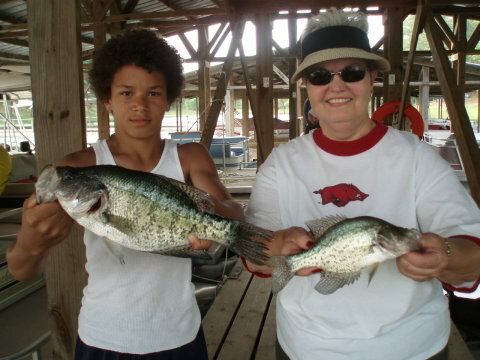 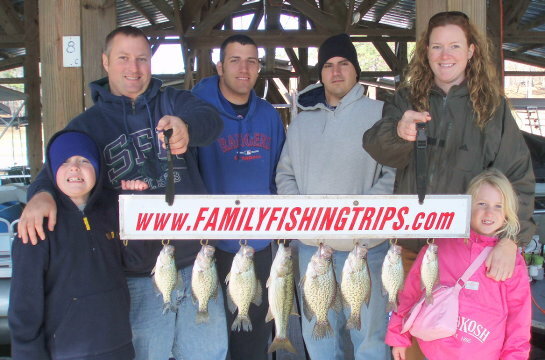 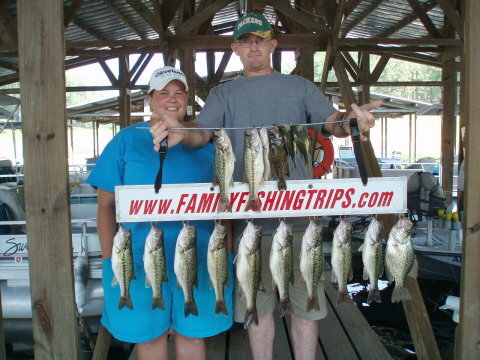 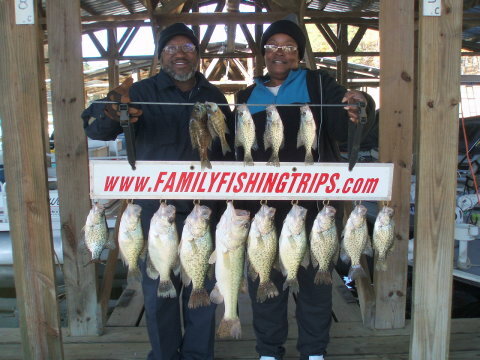 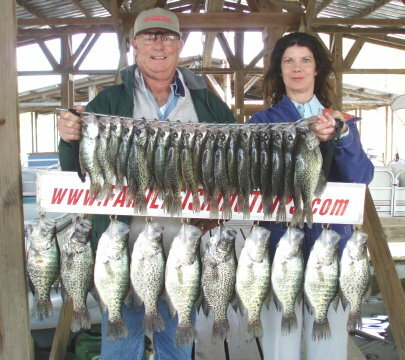 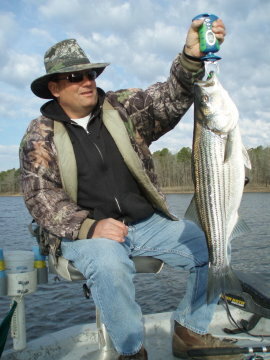 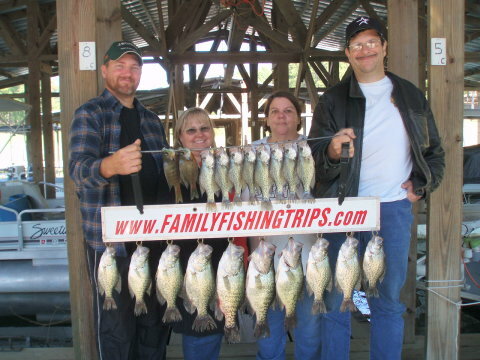 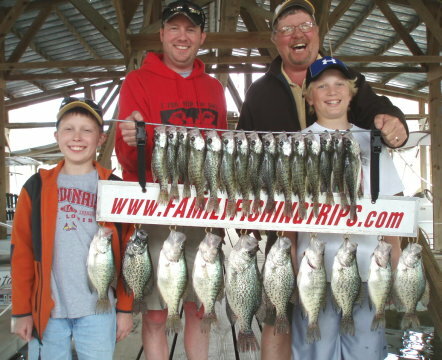 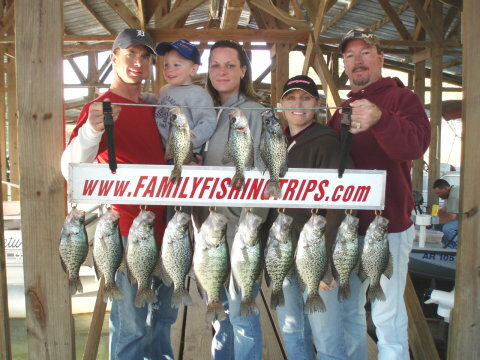 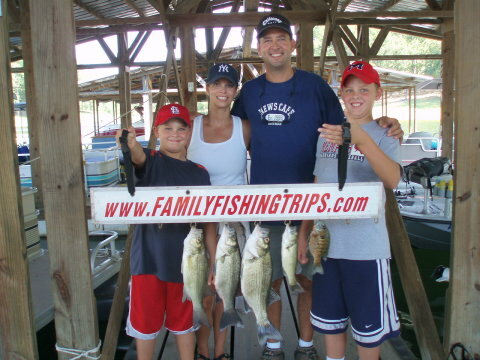 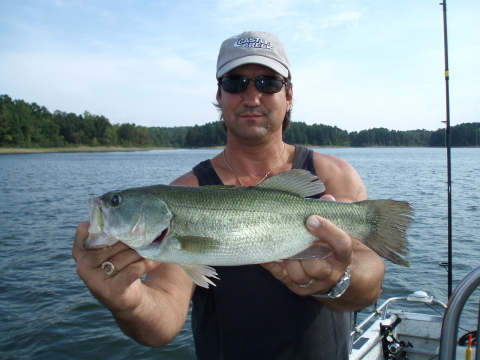 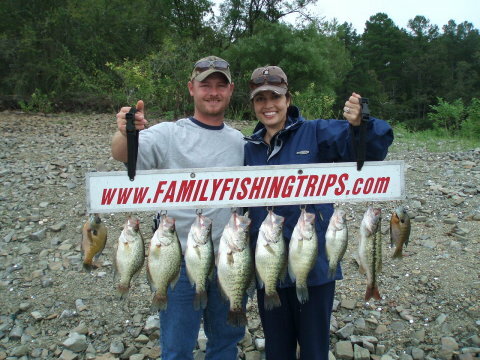 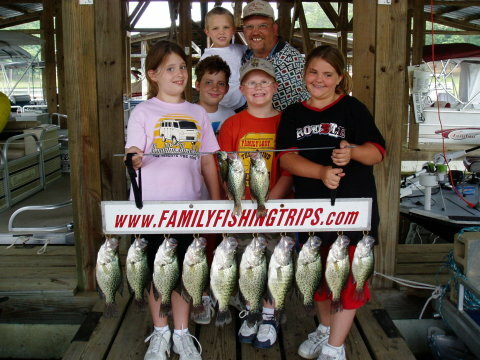 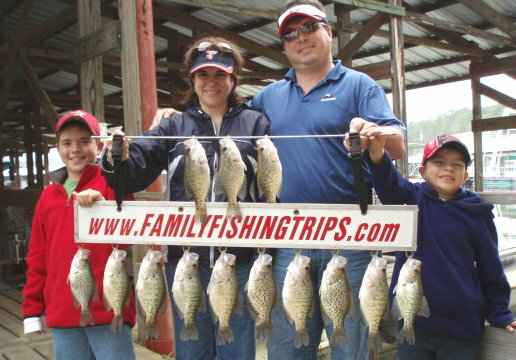 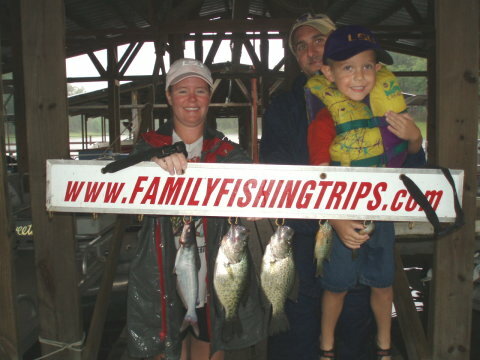 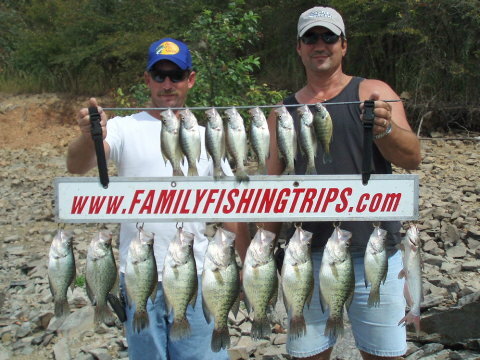 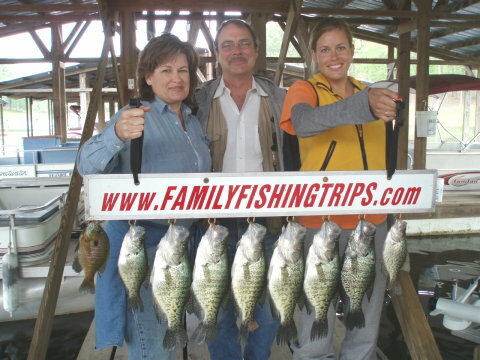 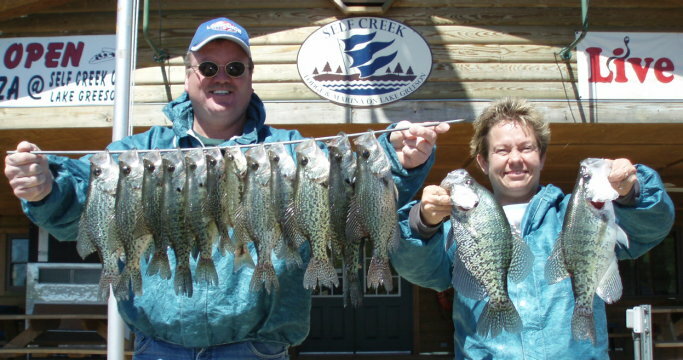 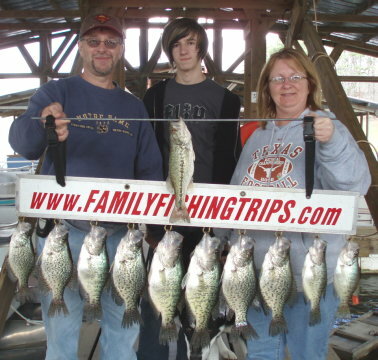 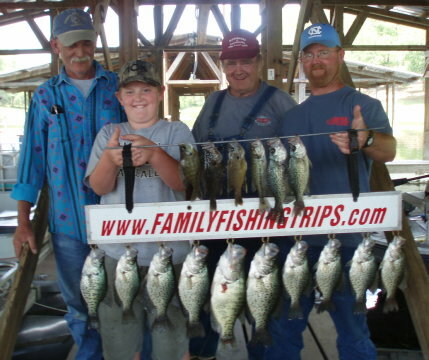 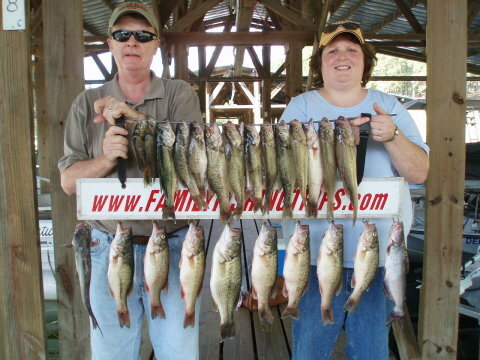 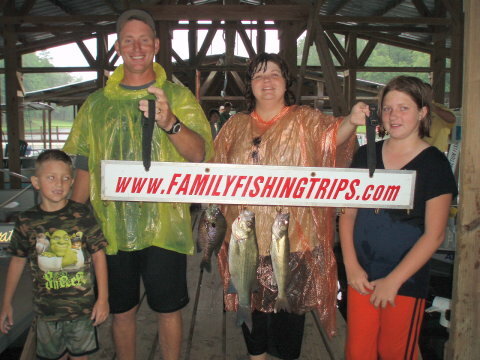 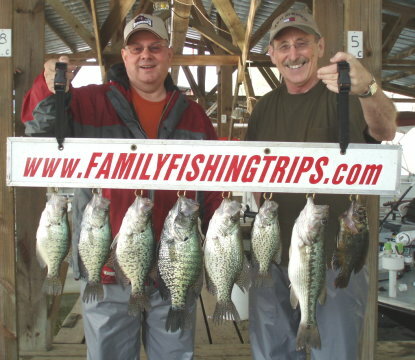 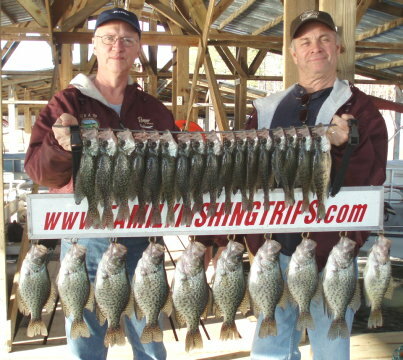 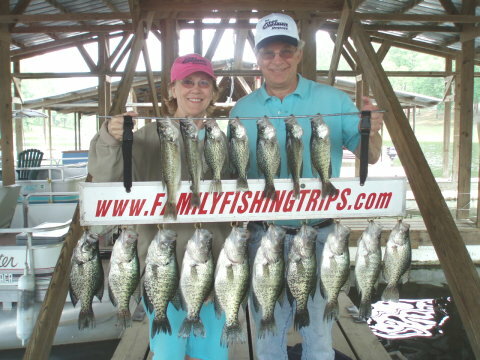 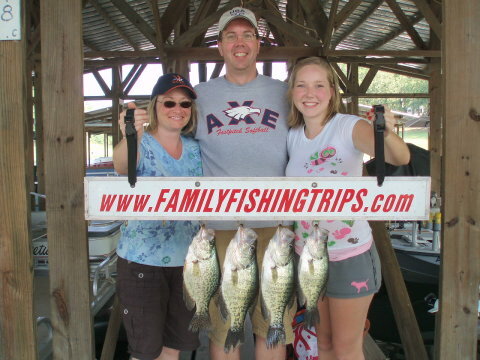 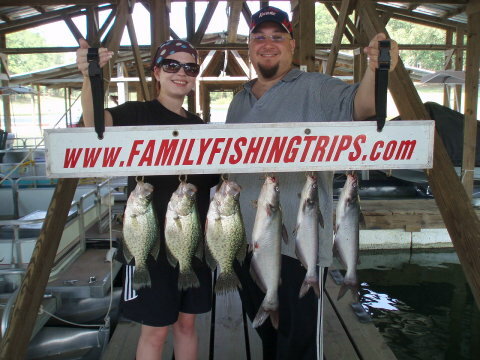 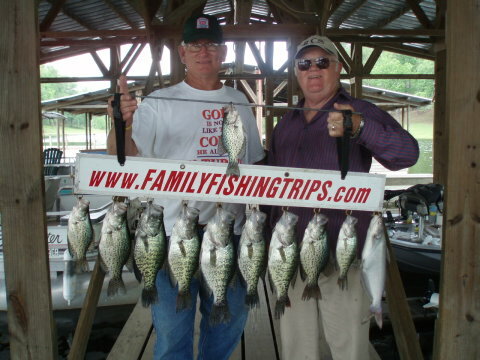 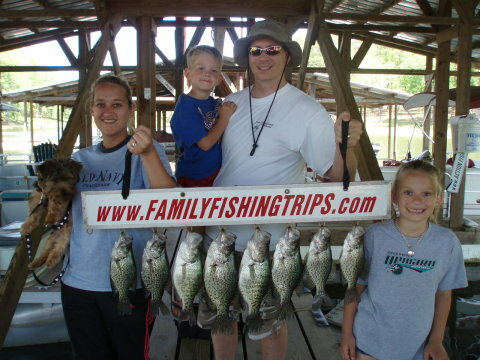 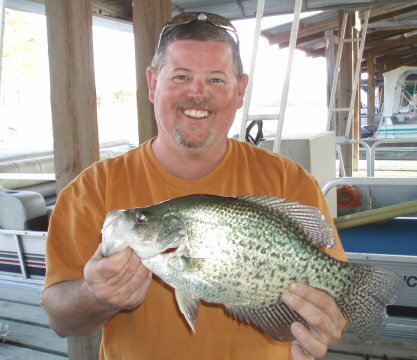 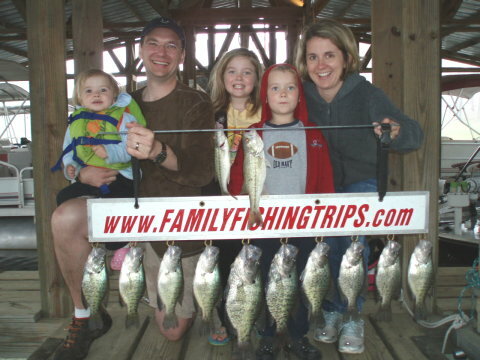 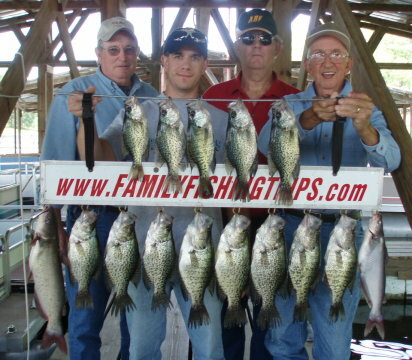 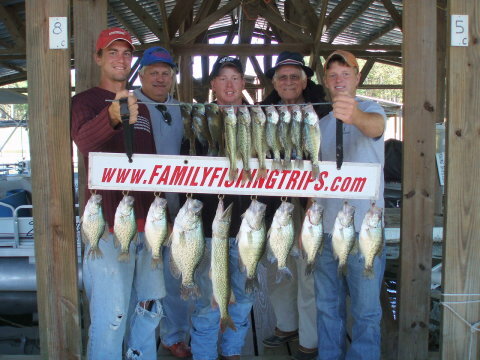 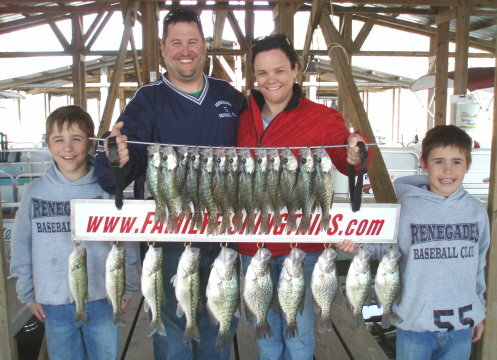 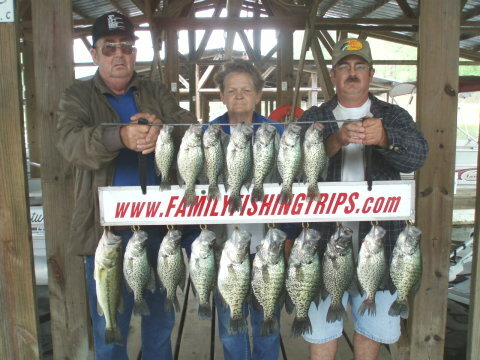 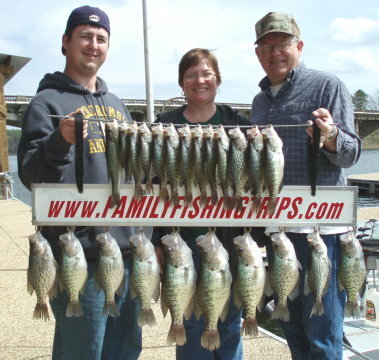 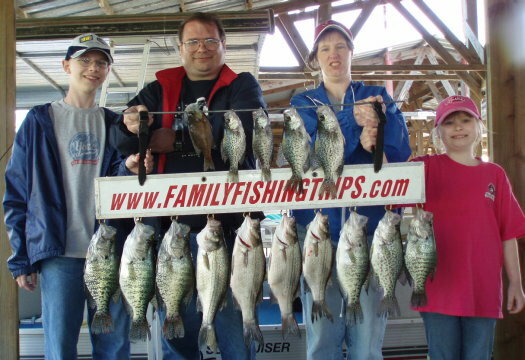 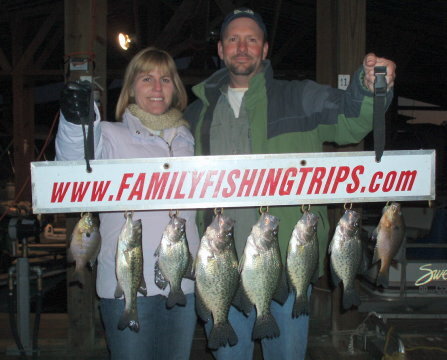 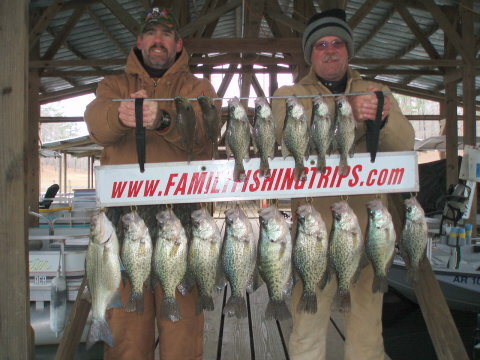 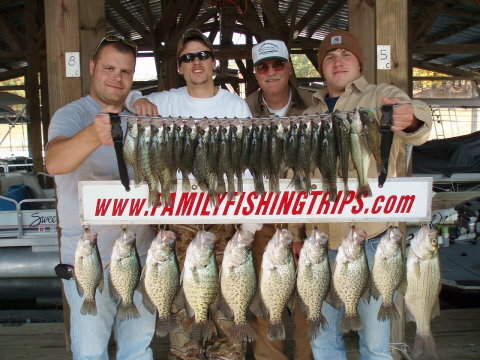 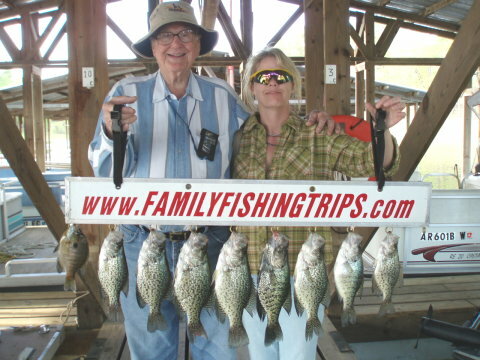 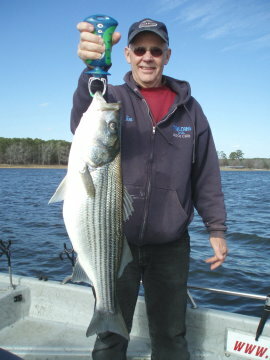 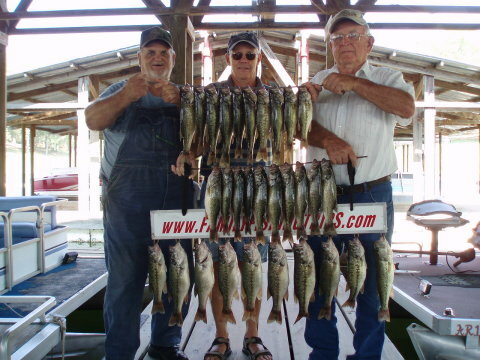 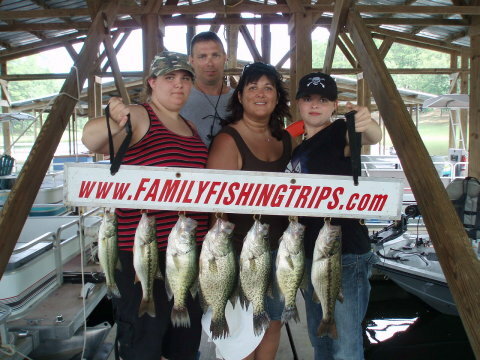 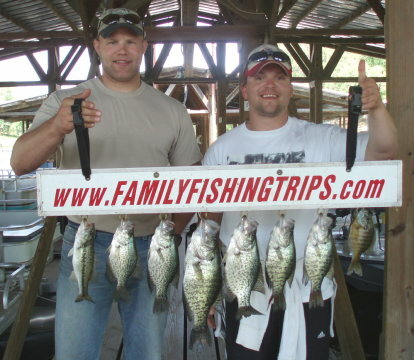 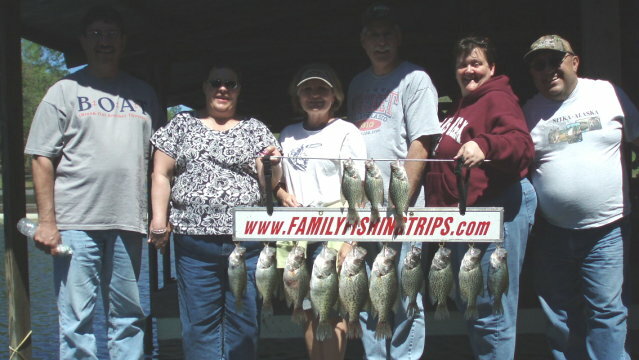 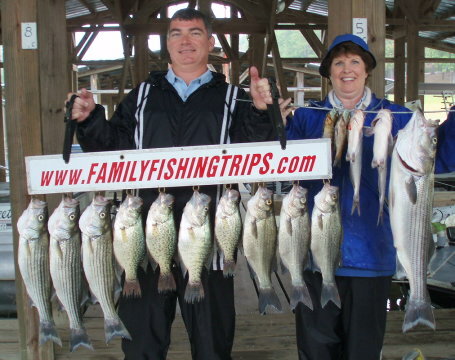 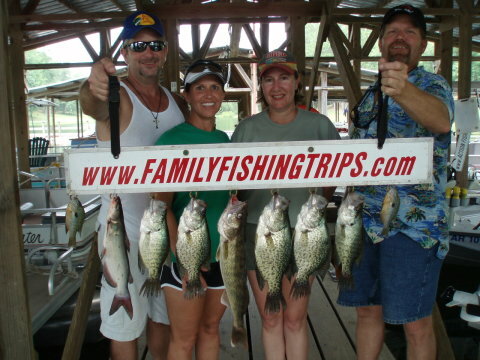 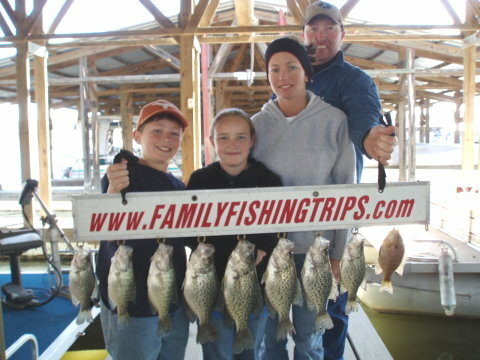 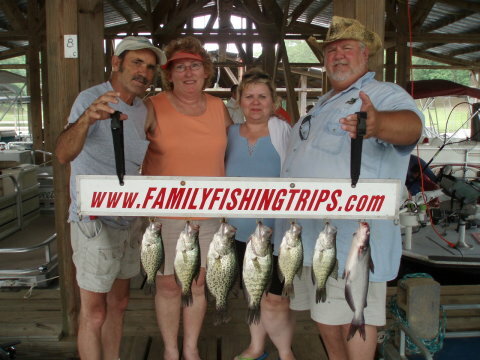 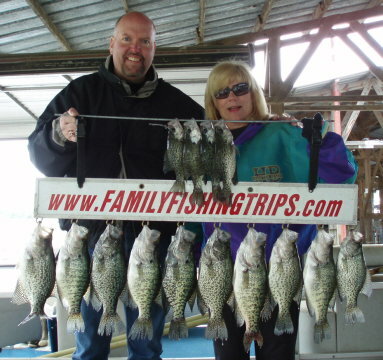 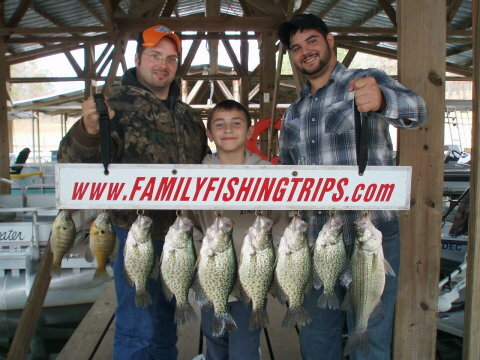 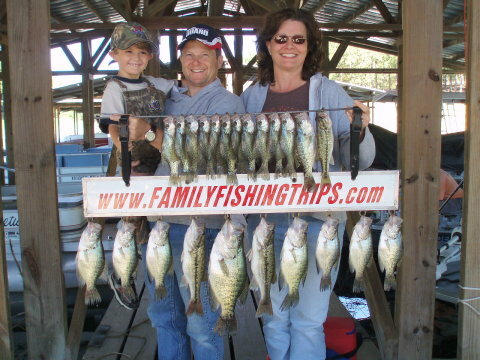 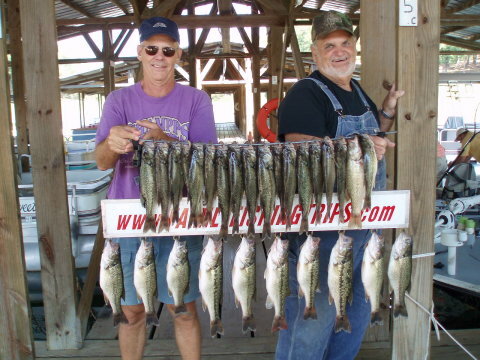 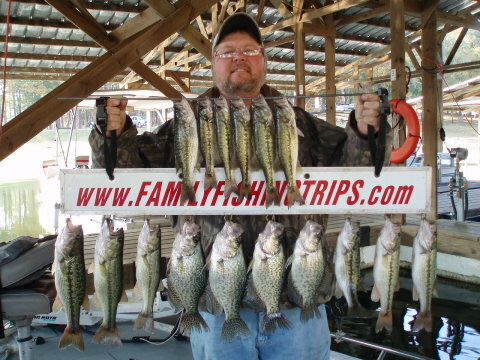 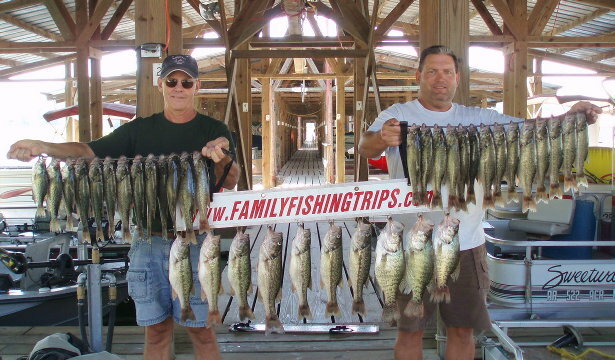 Black and White Crappie up to 14" and Spotted Bass up to 16.5" - 2lbs. 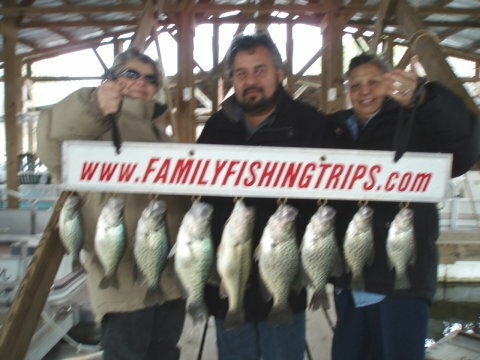 16 Black and White Crappie up to 15"
we averaged over 1lb. 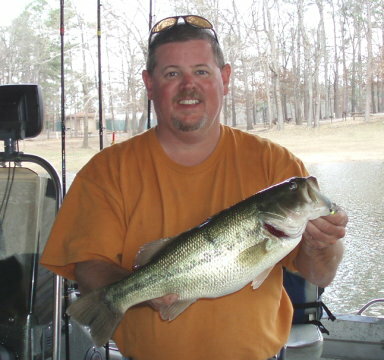 per fish with a total hanging weight just under 20lbs. 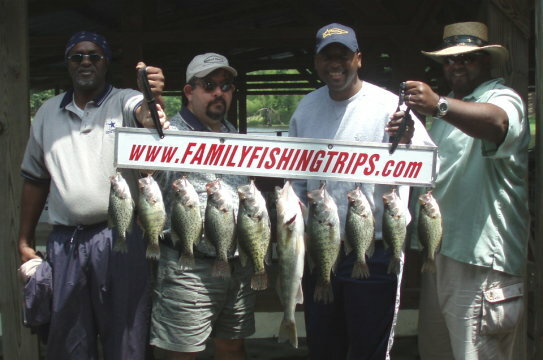 25 fish with a hanging weight of 30.5lbs. 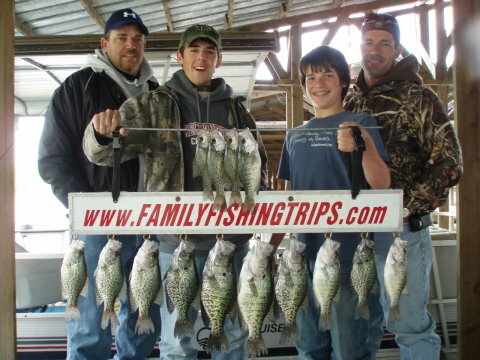 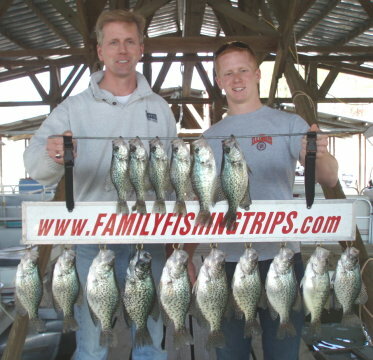 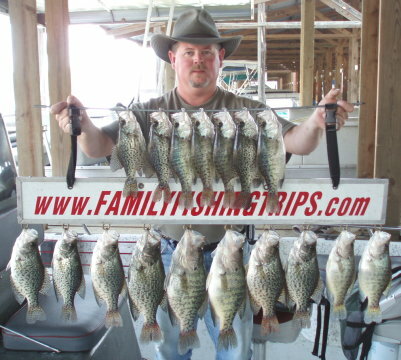 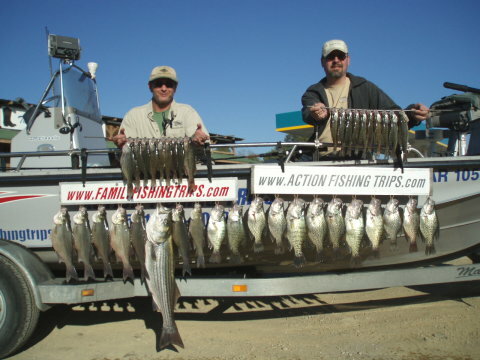 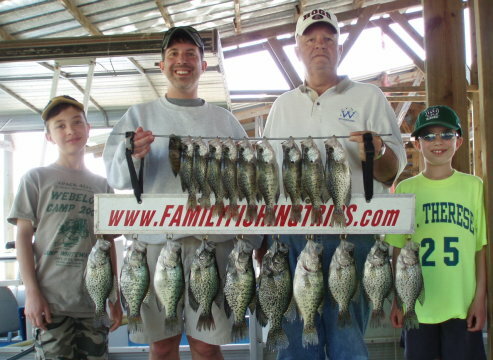 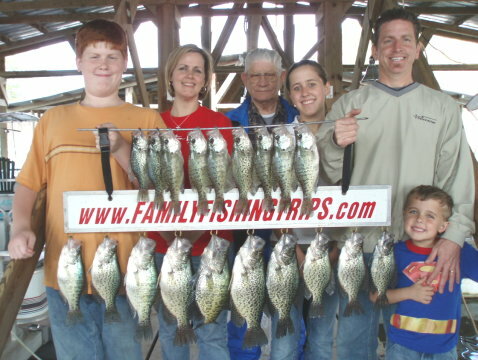 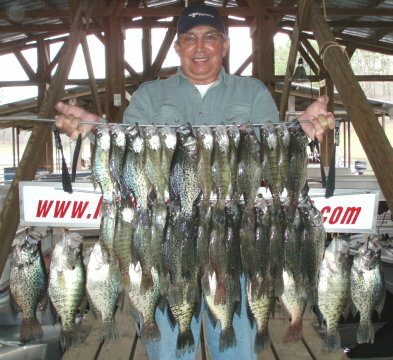 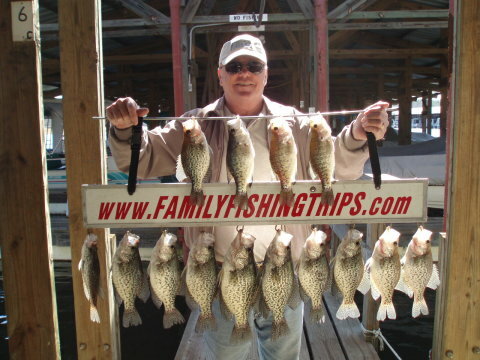 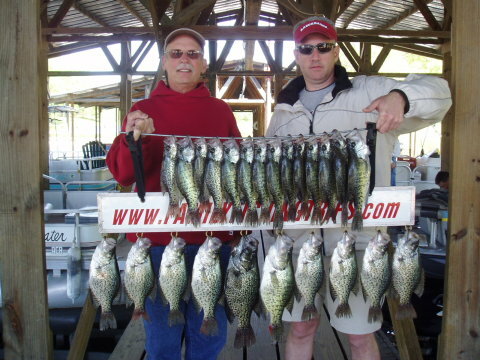 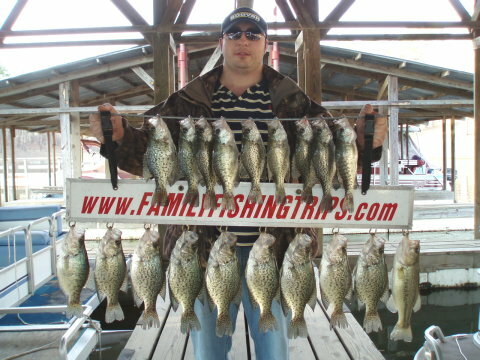 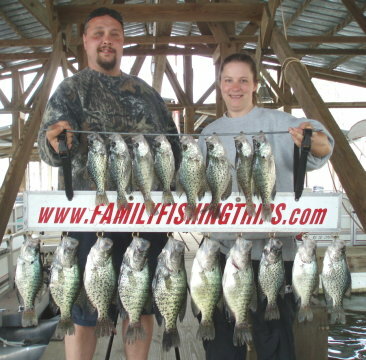 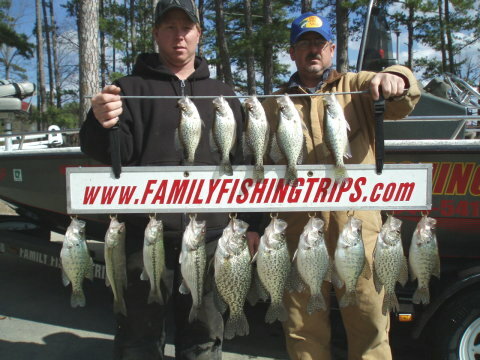 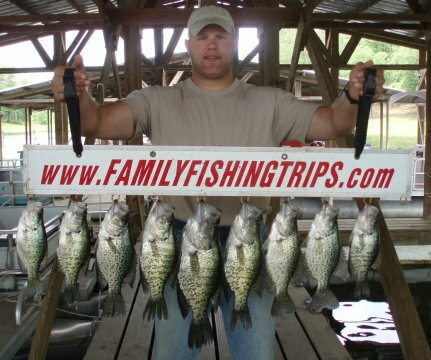 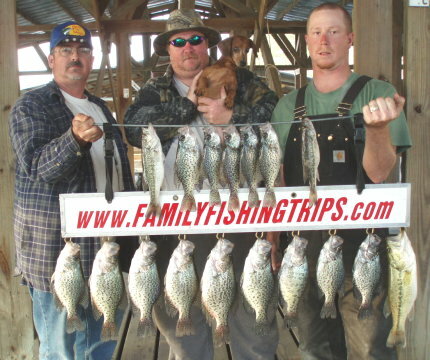 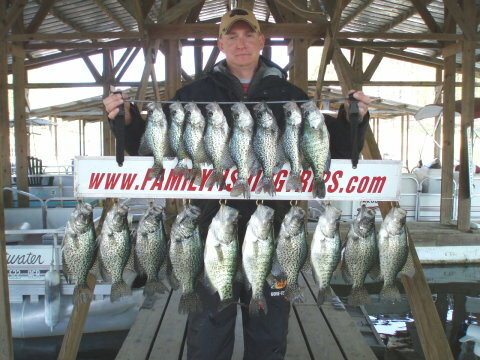 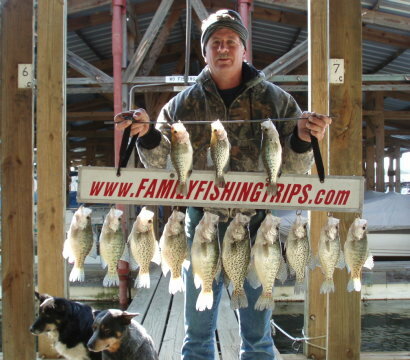 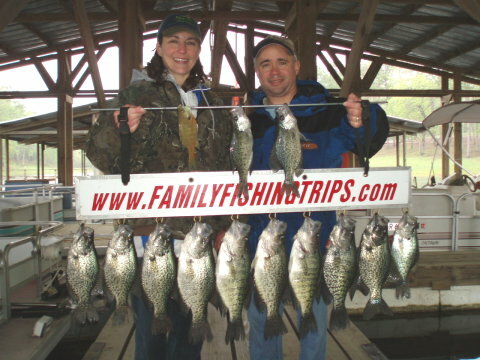 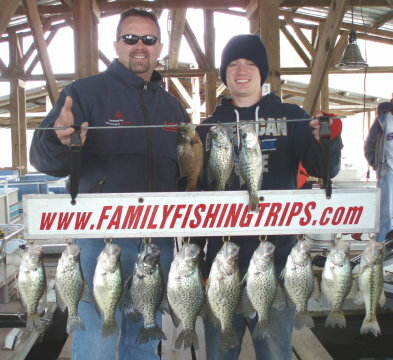 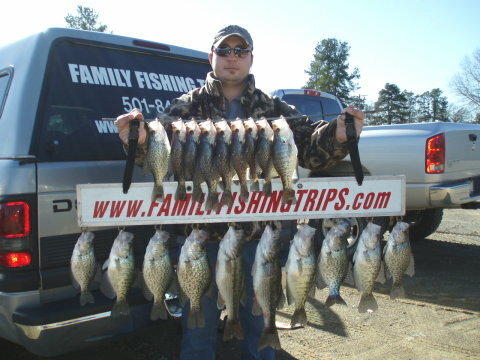 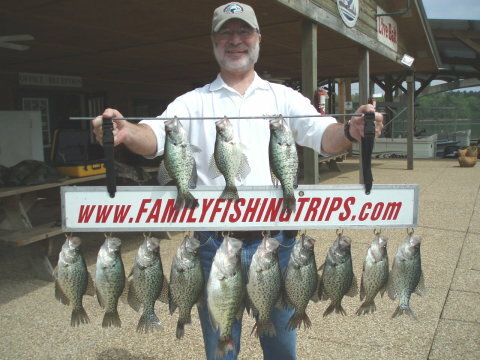 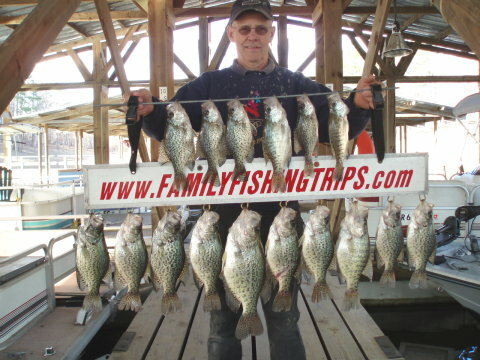 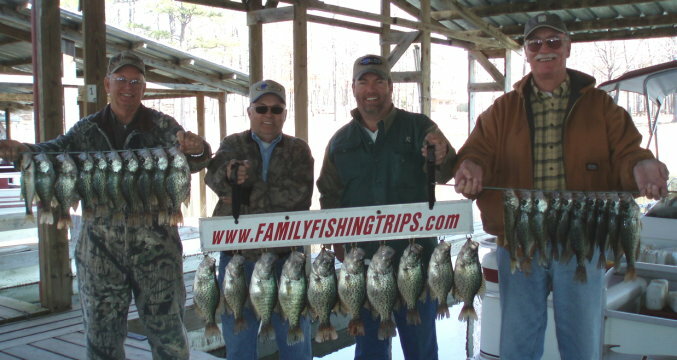 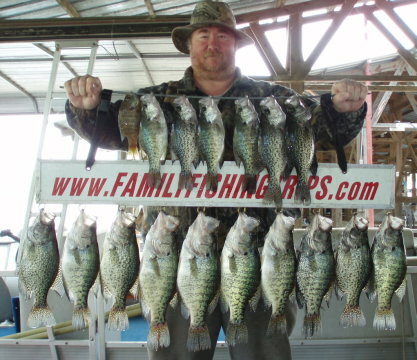 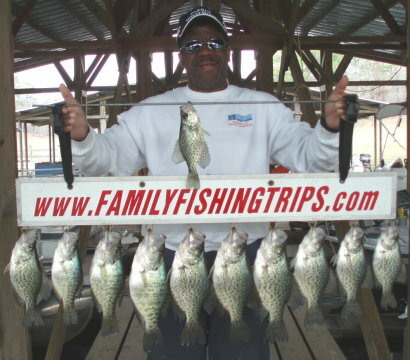 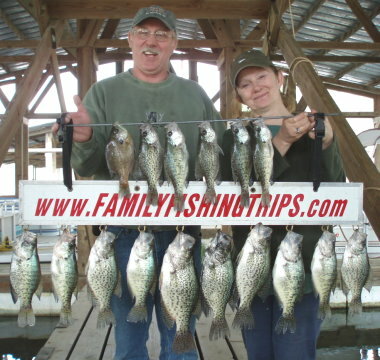 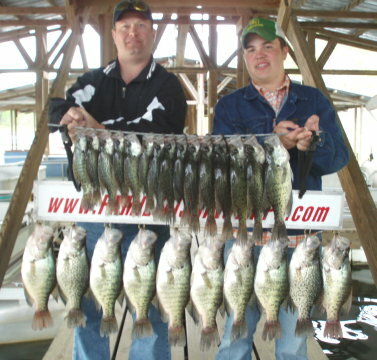 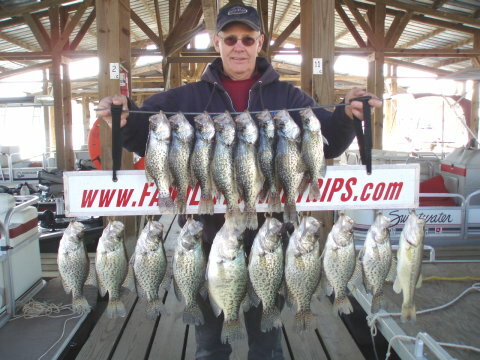 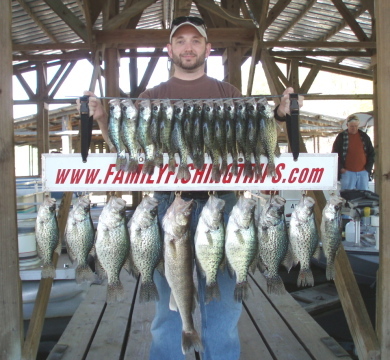 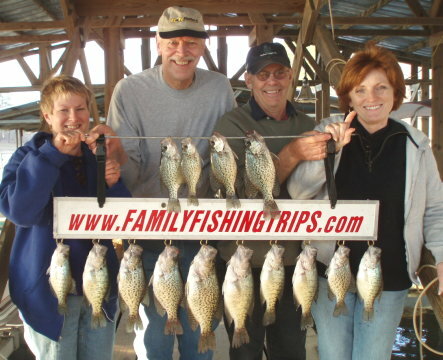 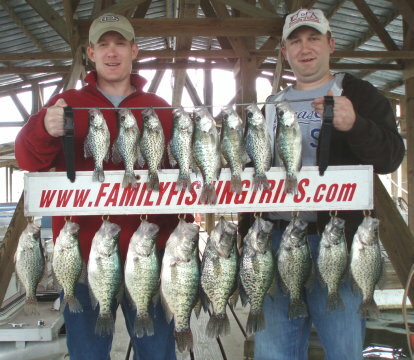 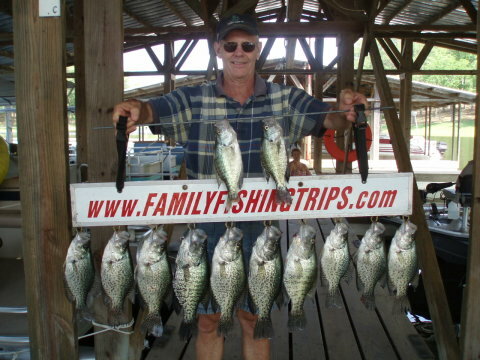 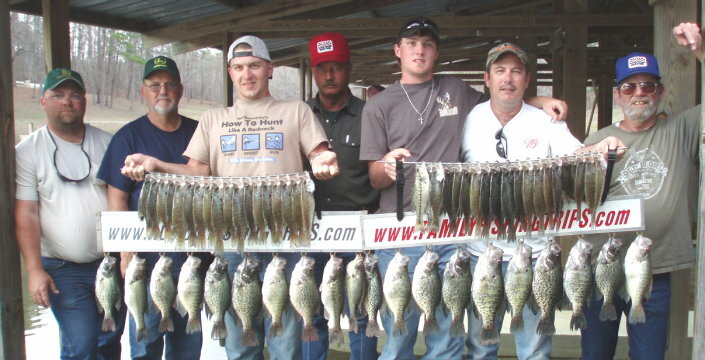 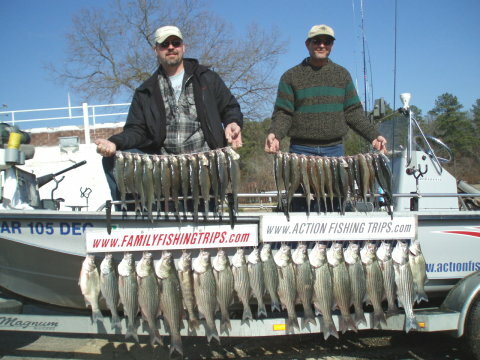 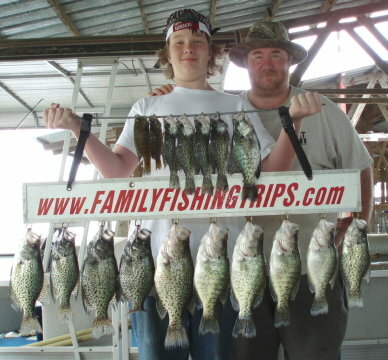 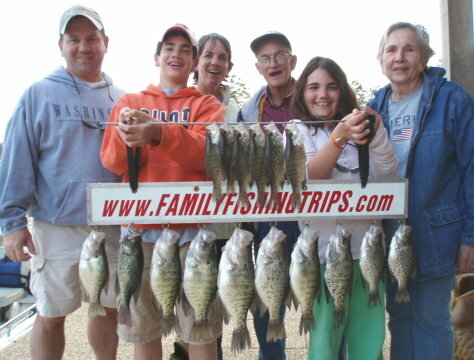 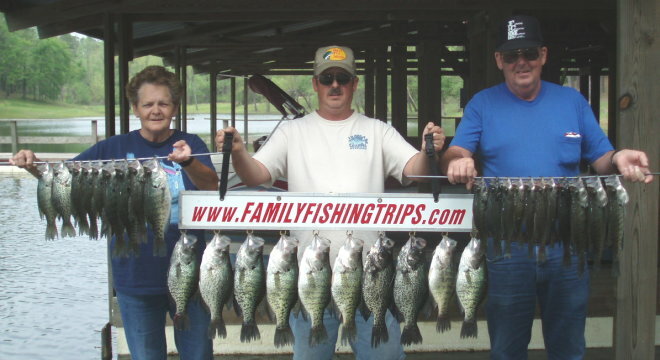 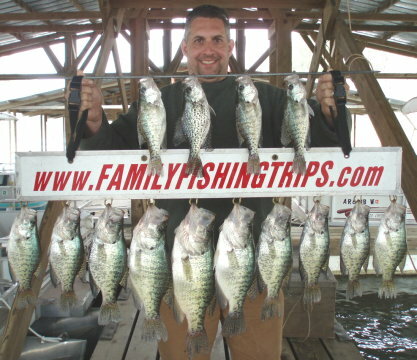 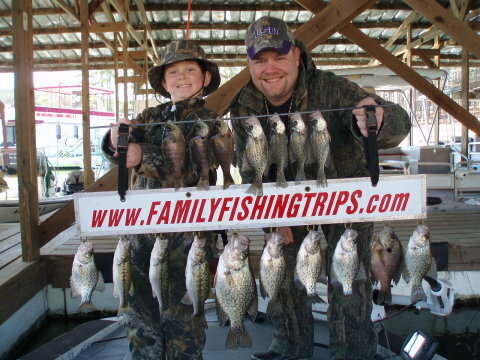 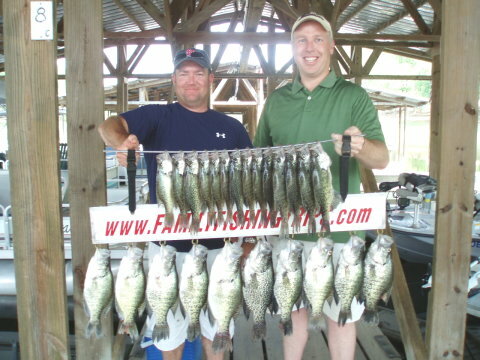 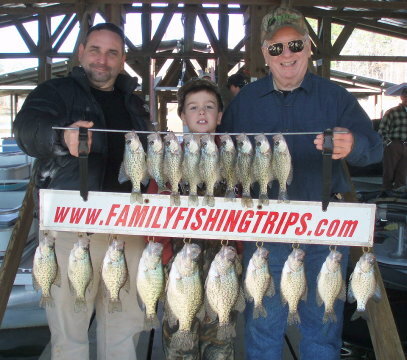 24 Black and White Crappie, 12 of which were 13.5" to 15.25"
11 Crappie up to 14.5"
18 Crappie up to 15.5"
Black and White Crappie up to 14.25"
White Crappie up to 17" - 2lbs.7oz. 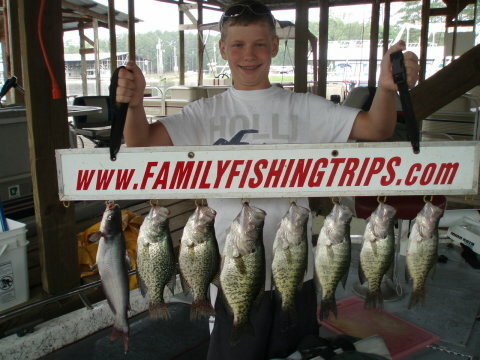 Black and White Crappie up to 1.75lbs. 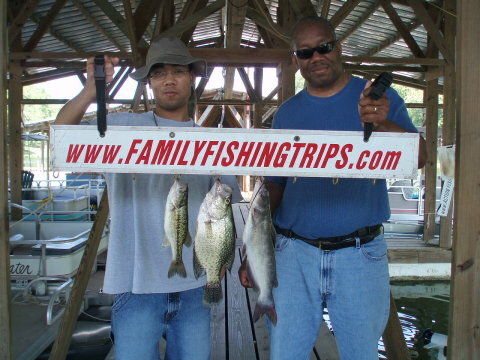 - 15"
3-pound, 11-ounce Largemouth (released) -- 15.5" / 2-pound, 1-ounce Blacknose Crappie both caught on jig in less than 3-foot of water.